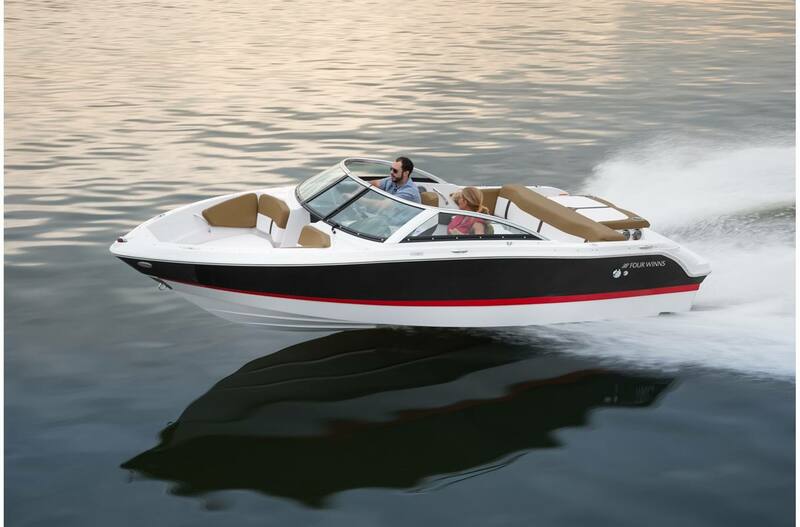 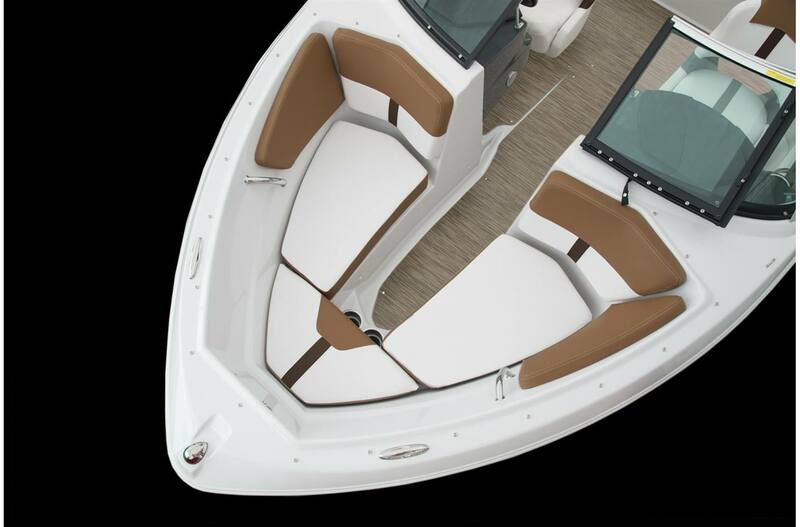 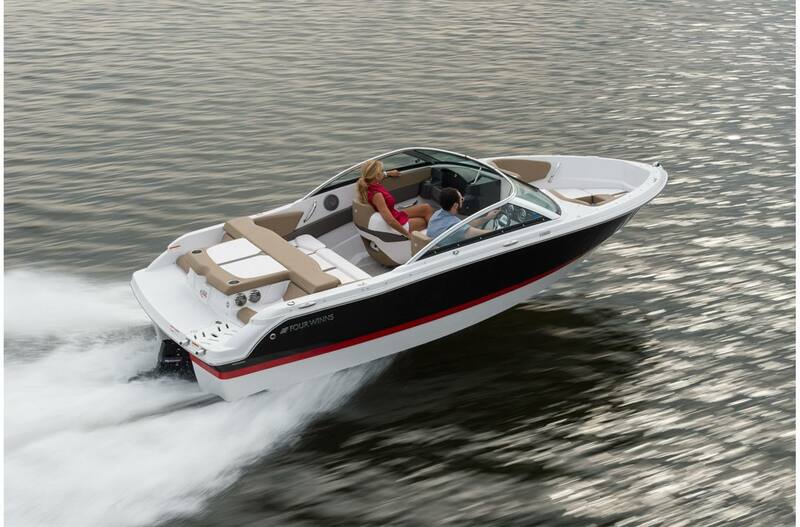 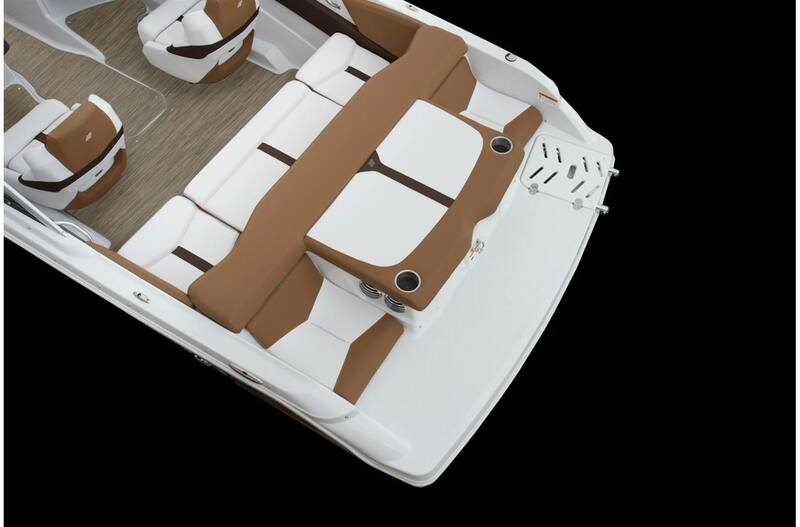 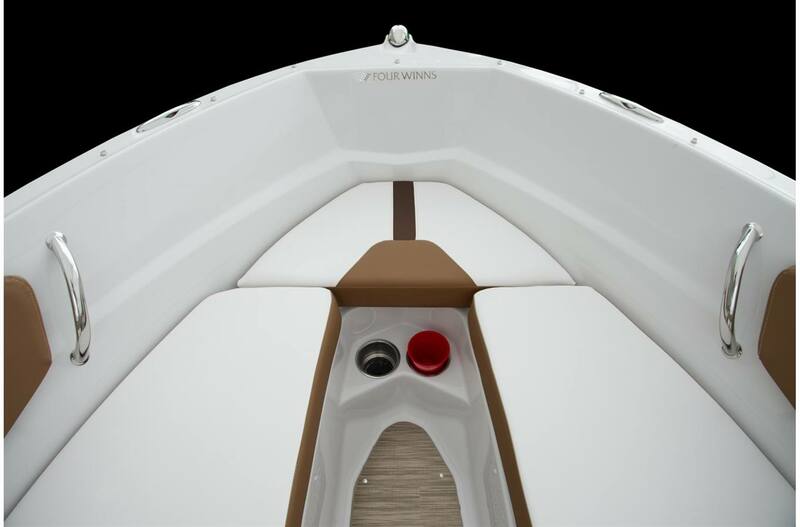 This 18' open-bow sport boat accommodates eight passengers comfortably so every day on the water is enjoyable. 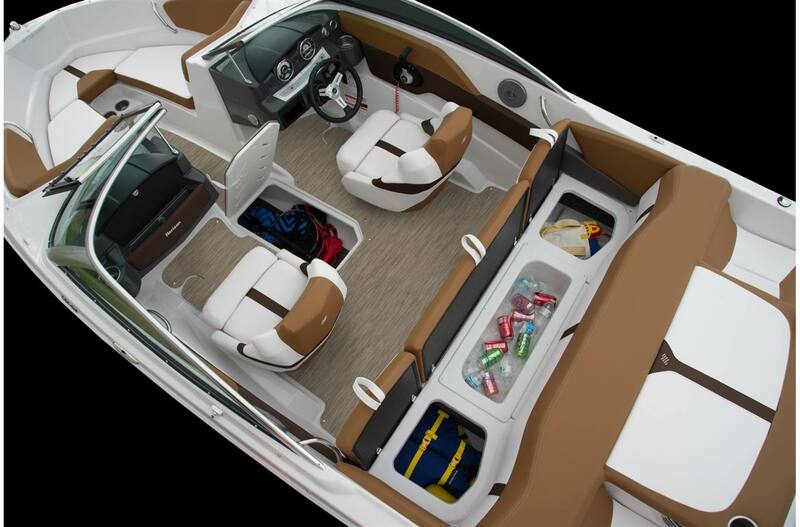 Getting dockside is easy with a standard custom matched Four Winns trailer. 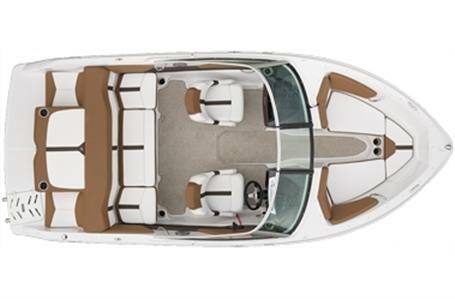 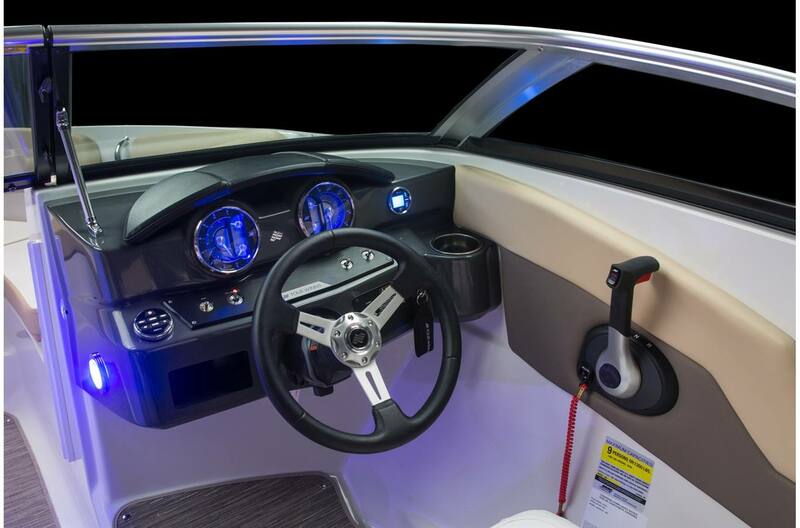 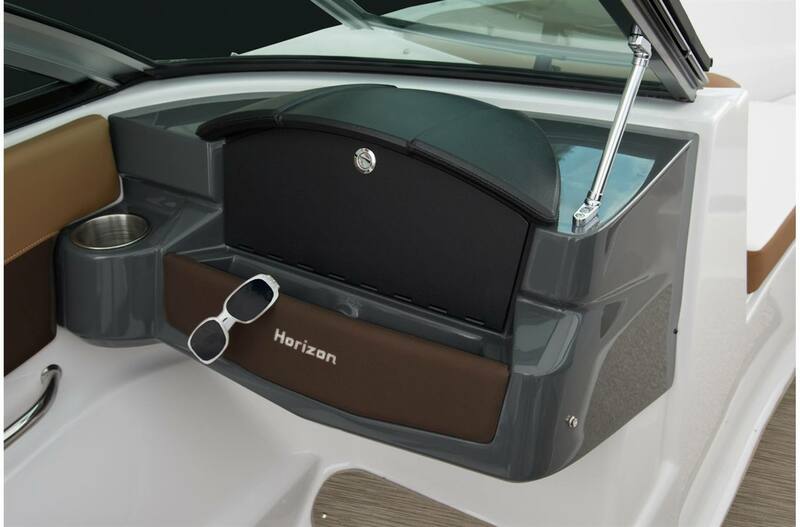 With the Stable Vee hull and thoughtful details like a walk-thru windshield and an angled, deep-reach swim ladder your family will want to get to the water every day.